As we enter mid-winter here in Hoboken, I hope that this email finds you warm and well. I wanted to quickly touch base with you and provide an update with what’s going on in town. 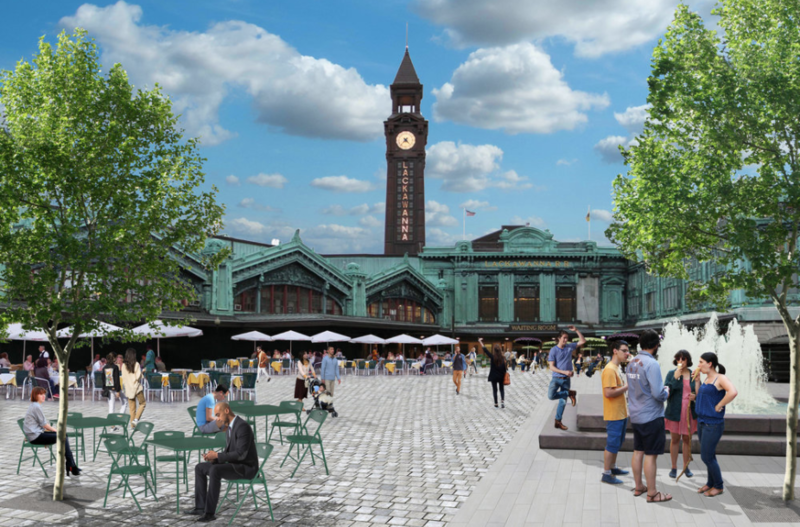 On January 17, I was proud to sponsor, and for the Hoboken City Council to unanimously pass, a resolution formally urging the mayor to move a plan forward which would open access to the waterfront and activate an outdoor marketplace and waterfront plaza outside Hoboken Terminal, this year. The market would be located at Warrington Plaza, the fenced-off and underutilized property located just north of the NJT Terminal and PATH entrance. It’s crucial that the City does its part to keep this project moving, especially because the proposal meets the existing redevelopment plan for the site and the conditionally designated developer has already expressed support for the idea. The Warrington Plaza Market plan would transform the property into a retail and food service hub, where neighbors and commuters can walk and enjoy food and drink from local purveyors and proprietors. It will create a necessary opportunity for existing local businesses and new entrepreneurs to reach new customers and expand their businesses, adding much-needed revenue to our city and a platform for economic diversity. In response to overwhelming resident feedback over the crowded and confusing municipal race last November, the City Council approved a ballot referendum which would allow our community to collectively and democratically decide whether or not to re-institute runoff elections. Mayor Bhalla has vetoed the ordinance. This critical issue should be decided by the people, not by entrenched politicians like the mayor who benefit from a flawed current system. Mayor Bhalla was not supported by 67% of Hoboken voters, earning less than 1/3 of city-wide votes. Seeing that runoffs would return our city to majority rule, the veto calls into question his ability to actually win a majority vote. It’s further disappointing to see the mayor not just deny Hoboken residents the opportunity to have their voices heard, but to also see him spread misinformation and half-truths to distract from the facts. Mayor Bhalla cites reduced voter turnout in a recent Jersey City runoff, but he fails to mention that the last time Hoboken held a runoff election for mayor in 2009 turnout actually increased from the general election. Meanwhile, he suggests that he supports an instant runoff system that, while certainly worth exploring, is not currently allowable by state law. Further, the mayor references “massive vote-buying” which although has significantly decreased over the years, is not unique to runoffs and is a separate issue altogether. Sadly, this is a smokescreen meant to distract from the fact that Mayor Bhalla is concerned that re-instituting runoff elections would hurt his chances of re-election. This is a deeply cynical ploy that puts politics over our city's values of transparency and openness. At this Wednesday’s City Council meeting we will endeavor to override this politically motivated veto and return the decision to voters in the form of a ballot question next November — giving everyone a chance to decide what’s best for our City. Watch former Councilman Mello, who ran with Dawn Zimmer and Ravi Bhalla twice, explain why runoff elections are essential for independent candidates to have a chance at electoral success. Union Dry Dock, on our city’s northern waterfront, is the last maritime industrial use in Hoboken and long overdue for a waterfront park. In my recent bid for mayor, I campaigned on bringing a public park space to the area. As your councilman, I remain dedicated to seeing the land acquired to complete our public waterfront. It’s been public knowledge for years that Union Dry Dock was looking to sell, yet the past Administration and then-Councilman Bhalla sat idle, waiting in hopes that industrial zoning would reduce the price with the dock’s diminishing use. Unfortunately their gamble backfired, and after the election, it was disclosed that NY Waterway had acquired the land for $11.5 million for a fueling station — a use that is still remarkably permitted under the city’s current zoning code. Seeing that’s now in the past, how do we move forward? The City recently conducted a survey in which 91% of residents indicated they want a public park at Union Dry Dock. At this early stage I want to temper expectations because despite tremendous public support, we don’t know if NY Waterway will be willing to sell the property to Hoboken. If they don’t, the City Council has already authorized eminent domain, however if invoked, this direction could result in a years long legal battle with an unknown outcome. At this point one thing is abundantly clear -- that our collective will to see that the land used for green space is strong and the City will endeavor to make that a reality. Rest assured that on the Council, I will continue to work with all of my colleagues as well as the Administration to ensure that above-board land use negotiations are had and that Union Dry Dock becomes the public park that we all know it has the potential to become. It’s little surprise that my home district, the First Ward, has an active restaurant and bar scene with corresponding quality of life issues which result. For years, I have worked with the HPD, Administration and bar owners to ensure that my neighborhood isn’t put second to bargoers. 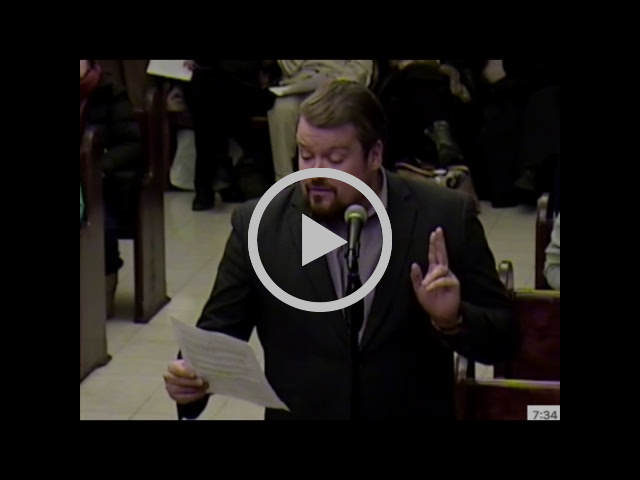 I’m heartened that Mayor Bhalla has recently joined me in protecting quality of life in downtown Hoboken and although he has only centered his argument on the “cons” (Santa-con, Lepre-con, etc) I believe this issue is a year-round one that needs to be addressed through strict enforcement of existing laws. Last week, I sat with the public safety committee, bar owners and residents to discuss a rushed and ill-conceived piece of legislation authored by the Administration which, in my opinion, would have injured small businesses without a commensurate return in quality of life. In response, I have proposed new legislation which would create a pub crawl license and require organizers of pub crawls to adhere to strict guidelines. These guidelines would include paying for additional police, environmental services as well as a monetary contribution to the City, with a commensurate increase in all of the above during popular pub crawl months. All stakeholders are working together and I will keep you apprised as the conversation continues. Sometimes it’s the little things that make a big difference...like public trash cans. Recently, there's been an uptick in dog refuse and trash on the streets and I have asked the Administration to provide more public trash receptacles for folks to throw their garbage in, instead of resorting to littering. I’m happy to report that they have agreed. If you have a location where you think a public trash receptacle is needed, please reach out to me and I would be happy to add to the request. A very public thank you to the Administration for working with me on this.